DividendMax»Company Coverage»Country:United States»Exchange:NASDAQ»Sector:Technology Hardware & Equipment»Company:Applied Materials Inc. 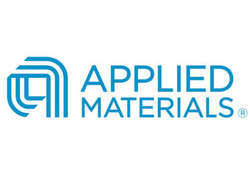 Applied Materials is the largest supplier of equipment and services to the worldwide semiconductor industry. The company innovates and commercialises the processing and manufacturing technology that helps semiconductor manufacturers produce the world's most advanced chips. The company employs around 12,000 people in more than 70 locations throughout the United States, Europe, Japan, Korea, Israel, Taiwan, Malaysia, Singapore and the People's Republic of China.